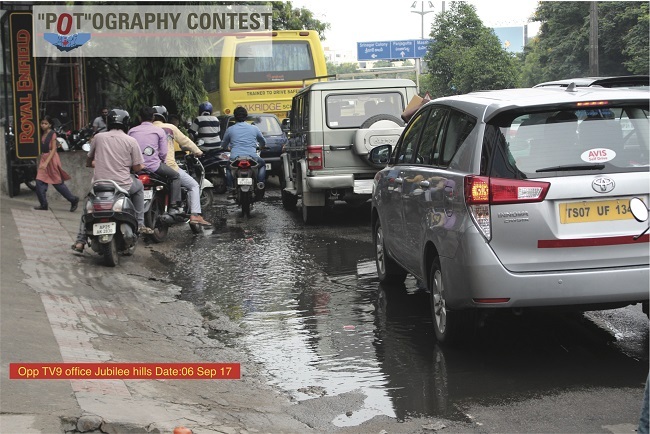 The politician is offering a cash prize for finding the 'best' pothole in the city. What makes a pothole the 'best' pothole in the city? Is it the size, the symmetry, the depth? Is it the location, or the amount of water stagnating in it? Is it the colour of the stagnant water in the pothole? Or simply the number of vehicles it has broken and people it has injured or killed? 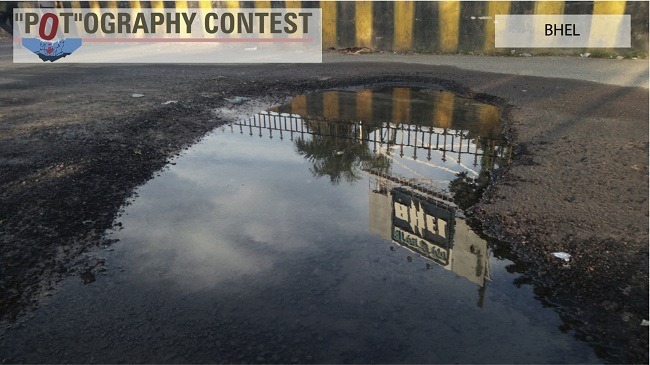 A Hyderabad-based politician's call to citizens to send him photos of the 'best' potholes in the city, has evoked a great response with hundreds sending in pictures. 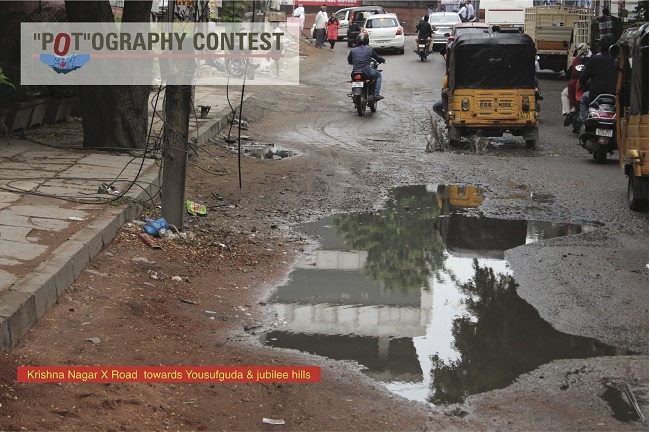 The campaign started by Marri Adithya Reddy asks residents to take a picture of any pothole in the limits of Greater Hyderabad Municipal Corporation (GHMC) and mail it to hydpothole@gmail.com. While the deadline for the contest is September 10, the politician has already begun releasing some of the photos on social media. Speaking to TNM, Adithya, who is also Secretary of the Telangana Pradesh Congress Committee (TPCC), says, "We are still constantly receiving photos. We have got around 380 to 400 till now. Lot of people have sent stories along with the photos, which we have also published." "In fact, HITEC City is one of the worst stretches in the country, with the number of potholes in the main roads and the bye-lanes," he added. "One of the best things is that we have not received a single critical comment questioning our motive on starting the campaign. People have been very positive and supportive. There is a certain hope that we can find a solution," Adithya says. "We now plan to hammer out a solution. We are considering organising a seminar with all the stakeholders or an all-party meeting, and see if we can come up with a solution. There are also many companies sending us solutions," he adds. Adithya also received photos of some citizens who took it upon themselves to fix a pothole. "It is the obligation of the GHMC to do this work. There are funds allocated to them for this purpose alone. The Mayor is silent and no one is taking action," he says. "Citizens are doing this out of sheer need and compulsion," he adds. 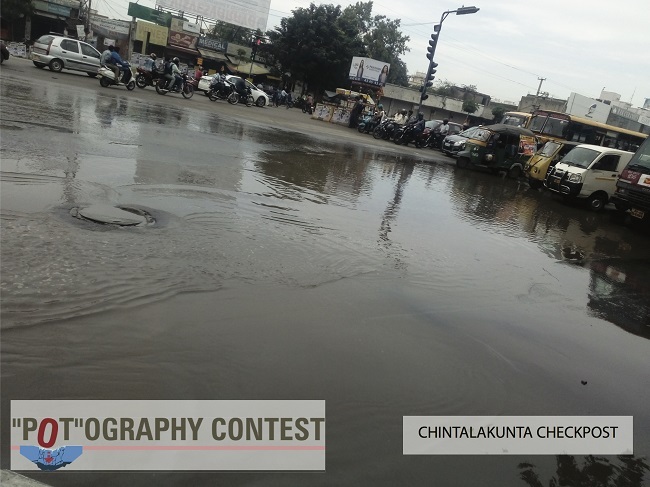 Asked about when the 'award' for the contest would be distributed, Adithya says, "Once this is done, we plan to either decide upon a place to distribute the cash, or go to the spot itself where the photo was taken, and then hand over the money. This puts more pressure on the state government." "Such campaigns encourage more people to participate in a democracy, and we are looking at taking it one step further, with the help of technology," he adds.